Announcing Playa Hermosa, a new eco-development on the Pacific coast near David, Panama. 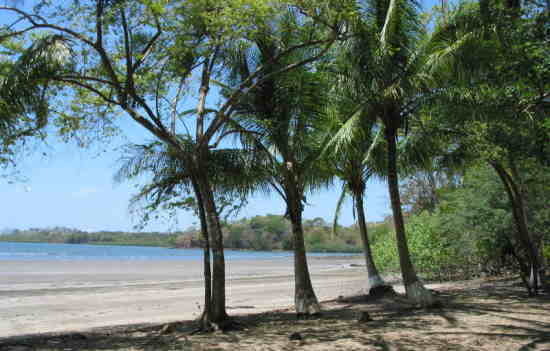 Playa Hermosa offers an extraordinary opportunity to combine spectacular beachfront living, restoration of a diverse ecological system, profit from reforestation of high-value hardwoods, appreciation in the value of the real estate, and the tax-free and residency benefits provided by Panama’s Law 24. Panamadera is now taking orders for a limited number of titled beachfront home sites bundled with approximately five acres (two hectares) of teak and native tree species reforestation starting at an initial offering price of USD $130,000 - $150,000. This price includes a 3,000 square meter (about 0.6 acre) home site overlooking the Pacific ocean, two hectares of newly-reforested land, and the first year of management services. Owners become members in the Playa Hermosa Owners' Association, which will provide shared recreation facilities including boat docks, and which will also ensure the eco-development adheres to sustainable practices and protects the interests of all owners. Playa Hermosa’s mangrove estuaries, natural forests, and waterfront tidal system are home to hundreds of species of birds and animals. While much of the land has been used traditionally for cattle grazing, many tree species continue to flourish in areas where natural vegetation has remained undisturbed. Panamadera’s reforestation program combines high-value native and exotic tree species together to create a natural, restored forest setting complemented by blocks of teak, neem and acacia trees. Particular care will be given to the restoration of the waterfront, streams, and springs using native tree species. Land and property management provided by Panamadera, S.A.
Click here for more information about Playa Hermosa. This material is provided to inform potential purchasers about properties offered by Panamadera, S.A., a, Panamanian corporation. This information does not constitute an offer to sell or a solicitation of an offer to buy in any jurisdiction in which or to any person for which such offer, solicitation or sale would be unlawful. The terms and conditions described in this document should be considered introductory, and may be changed without notice at any time.